I hope everyone enjoyed the long weekend and feels rested and ready to tackle this week. We close on our new house today and move in this weekend so I have some busy but exciting days ahead. 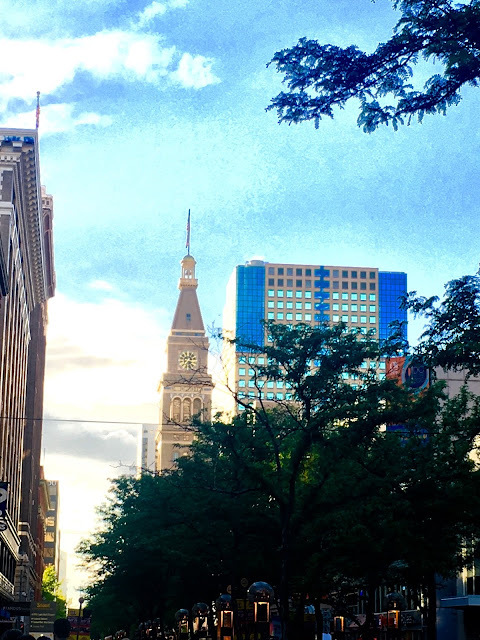 We returned home last night after spending the past few days exploring the Mile-High City which was everything and more than I expected. 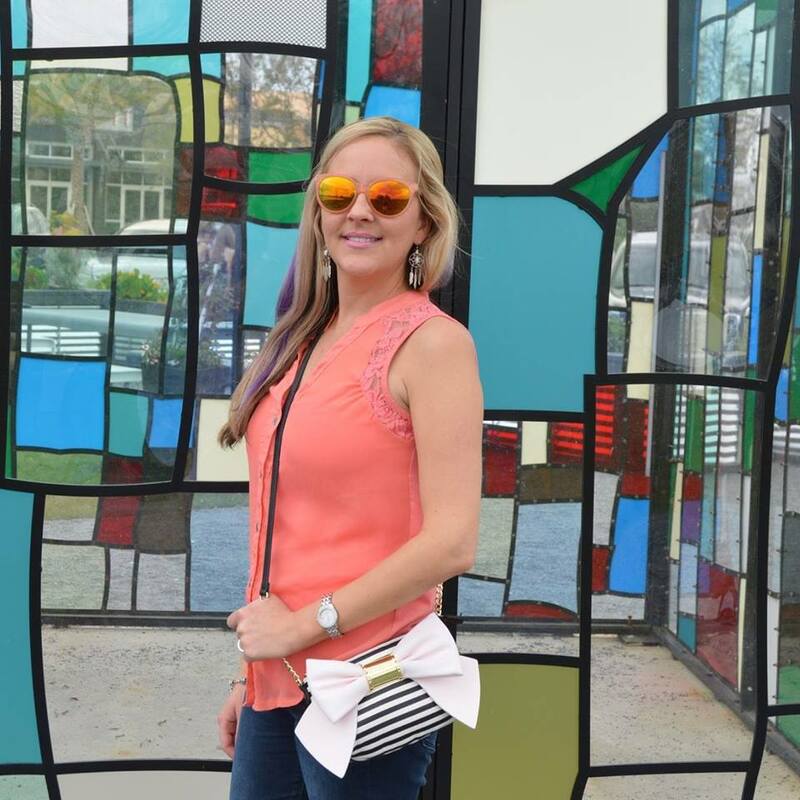 I plan to do a full travel recap next week for our last Wanderlust Wednesday linkup. 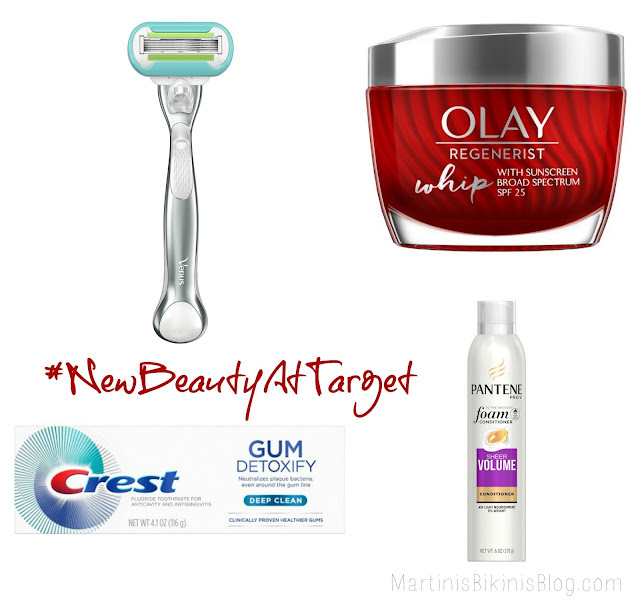 In the meantime, I'm linking up with the beautiful Biana to share a quick weekend recap. We arrived late on Friday night so we just had enough time to check into our hotel and grab a quick bite before heading to bed. 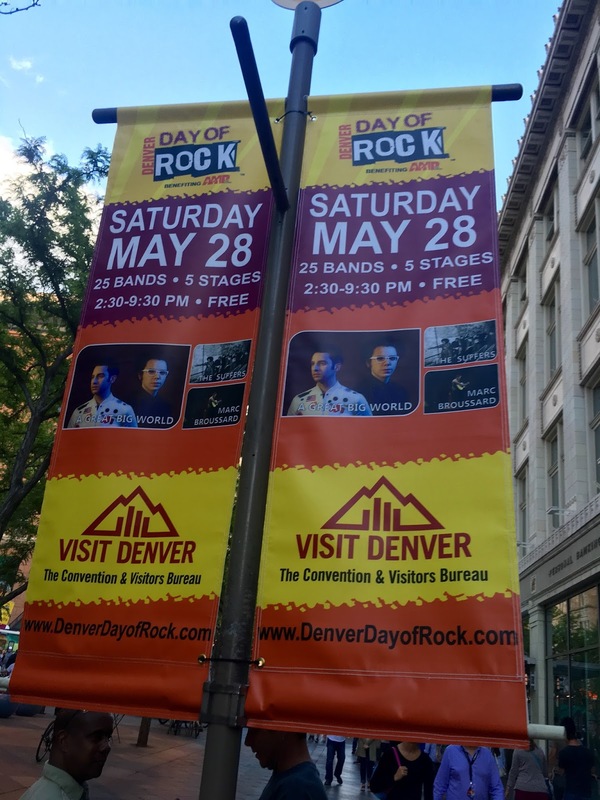 The Denver Day of Rock music festival happened to be on Saturday so there was lots of extra entertainment happening with live music, food trucks, and tons of local vendors selling art and produce. 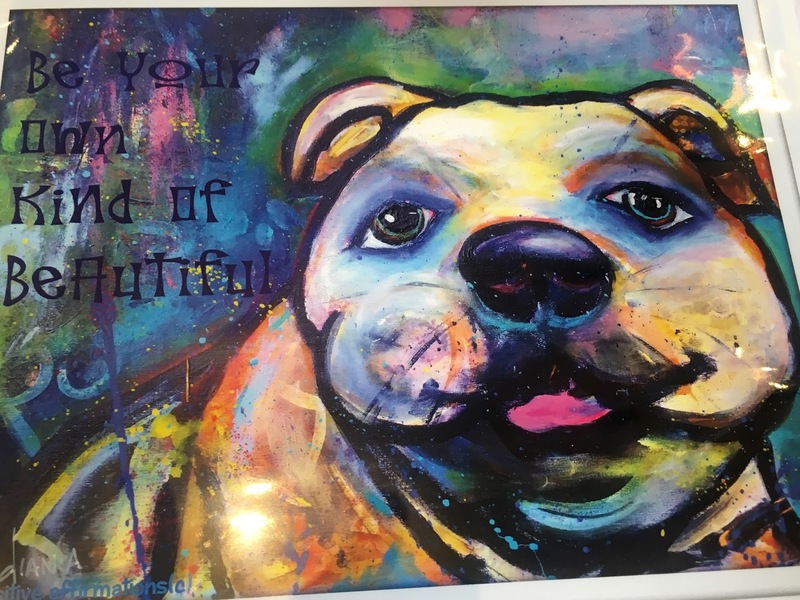 The bulldog lover in me couldn't resist purchasing this colorful piece of art and I got a few different prints to give as gifts. We spent all of Saturday walking around and exploring downtown Denver. It really is a beautiful city and I was amazed by all the pretty street art. Luckily our hotel was in the heart of downtown so we walked everywhere to burn off those vacation calories. 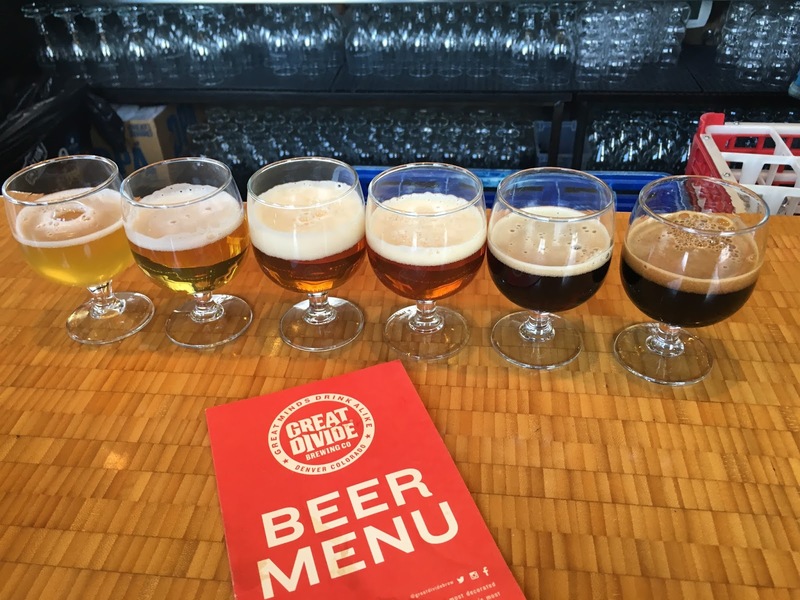 While exploring we stumbled upon our first brewery The Great Divide and went in to sample some local craft beers. K loves craft beer but most of them are too hoppy for me but I still enjoyed the friendly atmosphere and some of the lighter beers they offered. Other than Brunch at Elway's Steakhouse that morning, I didn't do much planning ahead in terms of restaurants. Several people recommended Elway's to me for a good steak dinner but we didn't manage to find time on this trip. Later in the day we stopped at Earl's Kitchen & Bar to refuel with an early dinner. 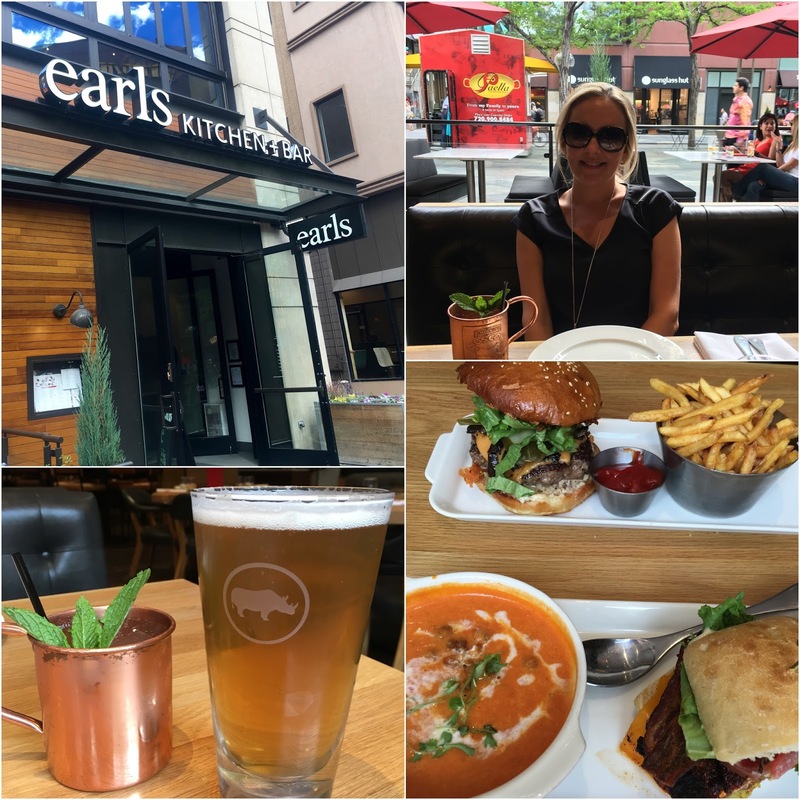 Earl's is a national chain but the downtown Denver location has a trendy atmosphere with great lunch/dinner options. 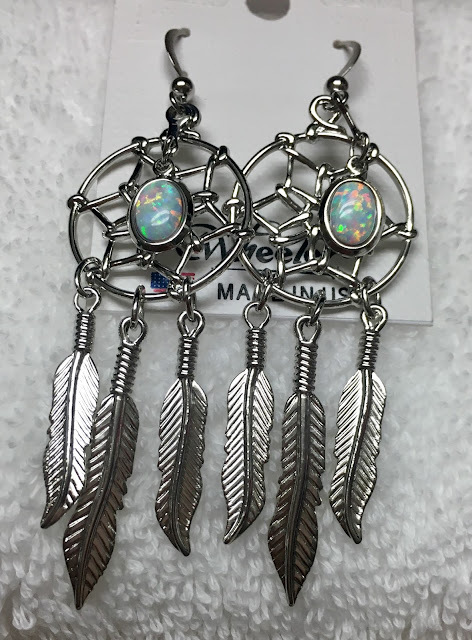 We did a lot of browsing through souvenir shops and local stores but I didn't purchase much other than some local Colorado honey and these dream catcher earrings which I'm in love with. I also bought a pair for the bestie but in bronze. On Sunday we had the most amazing brunch at Ophelia's Electric Soapbox. Definitely a downtown gem for brunch which I found while browsing reviews on Yelp. 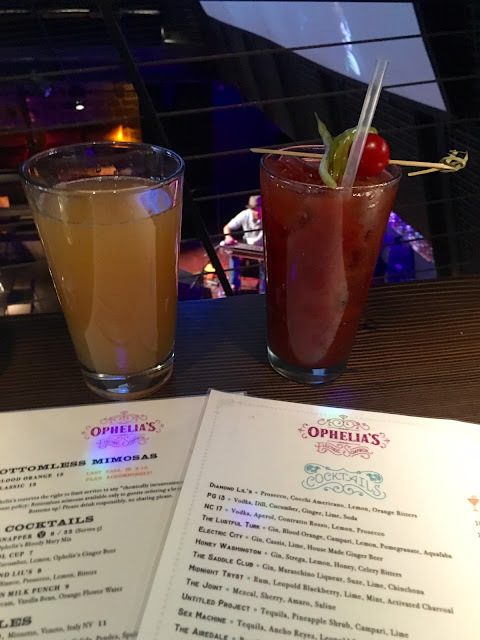 They have live music, bottomless mimosas, and an eclectic American food menu for brunch, lunch, and dinner. 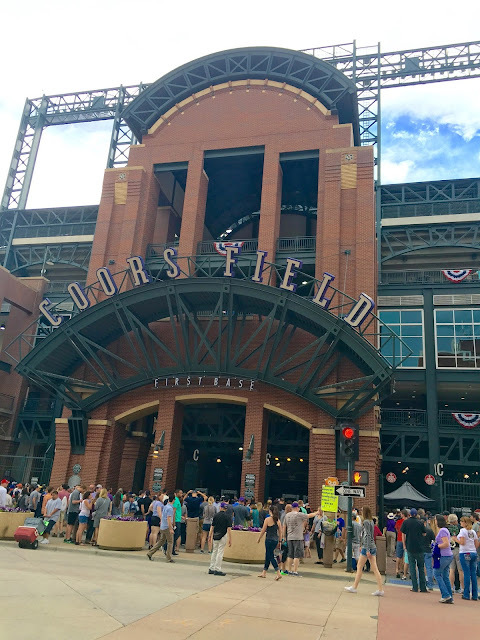 After brunch we headed over to the Coors Field for a 2pm Rockies vs Giants game and our seats were only 5 rows away from the field so we had the perfect view. The Rockies ended up losing but it was an amazing experience. On Sunday morning, it was unfortunately time to check out of the hotel and grab a quick lunch at Henry's Tavern before heading to the airport. 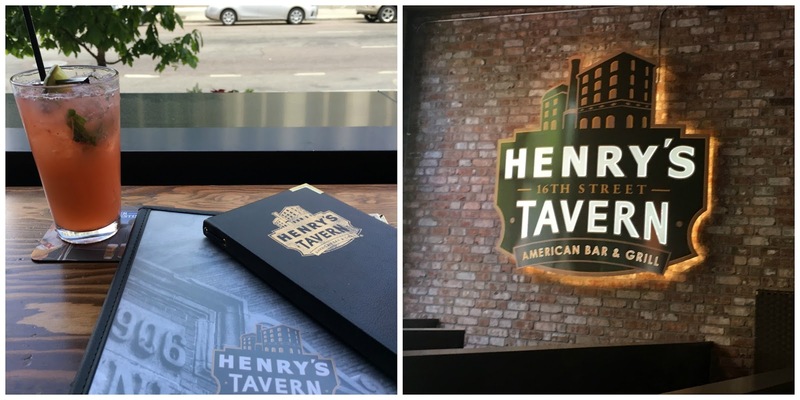 We had walked past Henry's several times on Saturday and Sunday but it was always packed full of people so evidently it's one of the more popular sports bars/restaurants in the area. Yesterday was much quieter so we were able to get in right away and enjoy some delicious dishes for lunch. Denver treated us very well and I'd love to return in the future to check out Red Rocks Amphitheater and a few other places we didn't manage to fit into this short trip. Back to reality today but luckily we have a somewhat short week ahead!! Sounds like a great quick weekend! Love that bulldog print! Good luck on closing!! Looks like so much fun! And that game looks like a lot of fun too, that is always so fun to do when summer begins. Hope you have a great week! Whoohoo, looks like your guys had a fabulous time and both looking Denver Divine!! I love Ophelia's!!! Keeping my fingers crossed for a smooth closing!! Happy week sweet friend!! Wow! You packed in a lot in this trip! So glad it was a great weekend getaway!! you always seem to pack lots into your weekend trips!! So much done!! All that dining is right up my alley... and yeah, I'm not a huge fan of hoppy beers also. I just found you and I love your blog!I also love how you leave links for the places you mention! Great work! Good luck on the house! Looks like a really fun time! You make me want to give Denver another shot. I've only been once & it wasn't even for a full 24 hours. I wasn't a huge fan but I was also 20 & wasn't there long enough to have anything planned/ really explore. 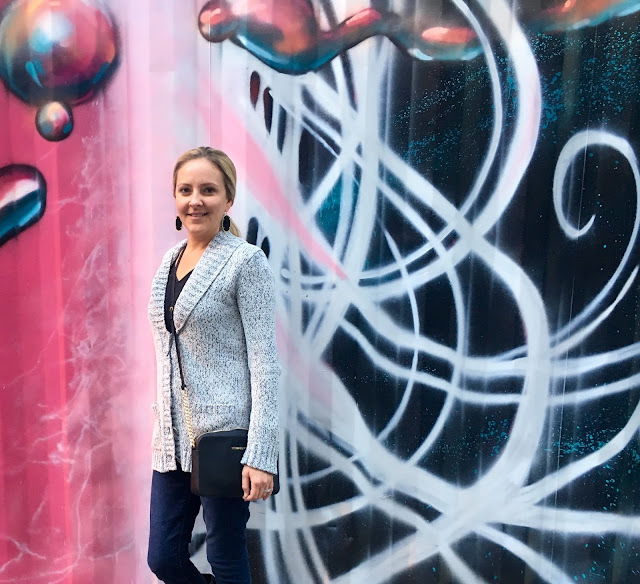 I love all the street art - great photos of you in front of it! 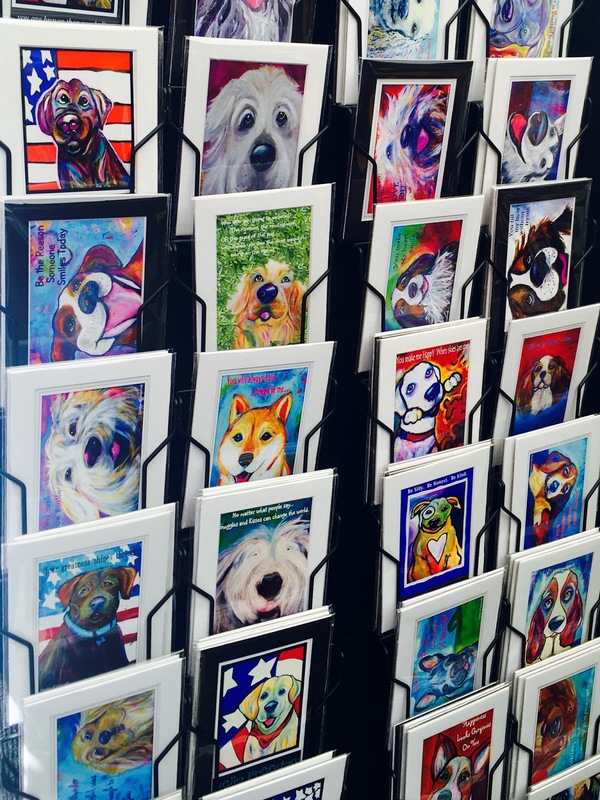 I definitely can't help buying pug stuff like that. Sounds like a great trip! Denver is a great town, so glad you enjoyed it. What a fun weekend. Your brunch sounds amazing - sometimes the trips where you just go with the flow are the best. Hooray for closing on your house today! That's so exciting! Seeing all of your snaps and reading your recap of Denver has got me even more excited for our trip in July! I can't wait to hear all the details for Wanderlust Wednesday! 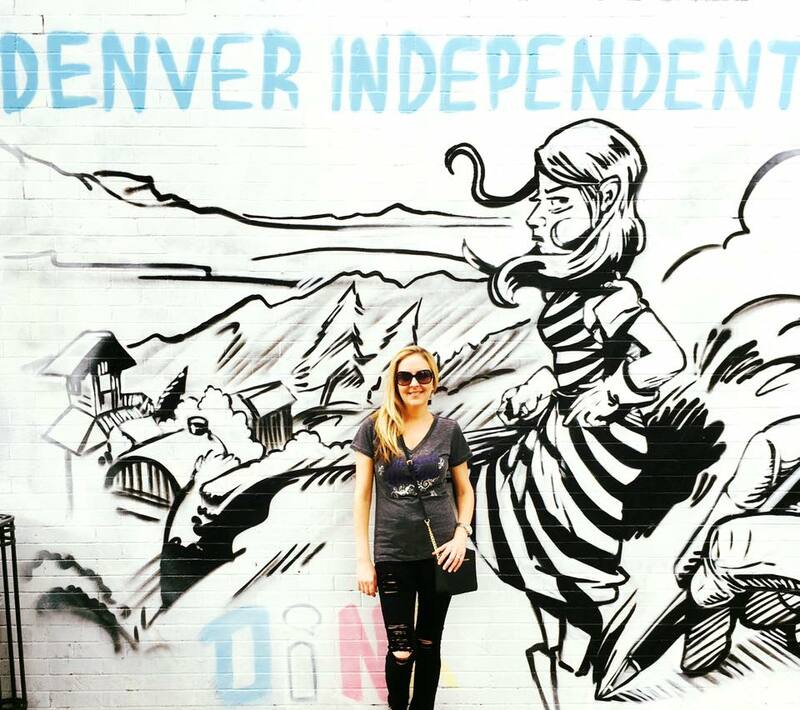 I cannot wait to go back to Denver soon!! Looks like you did so much, and local breweries are definitely on the top of my list for the next trip. I hope closing went really well!! how fun! I love Denver! And I think we've been to Elway's Steakhouse if I remember correctly and it was quite good... Love the bulldog print. Y'all did so much on your trip! I love coming across random festivals. The baseball game sounds really fun. Can't wait for your full recap! 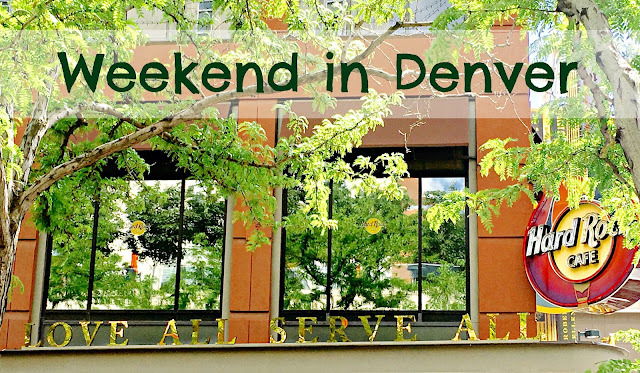 My husband and I have been talking about taking a long weekend trip to Denver one day. Y'all were able to do so much, and now I'm even more excited to take this trip one day!! I LOVE baseball games, the perfect summer event! 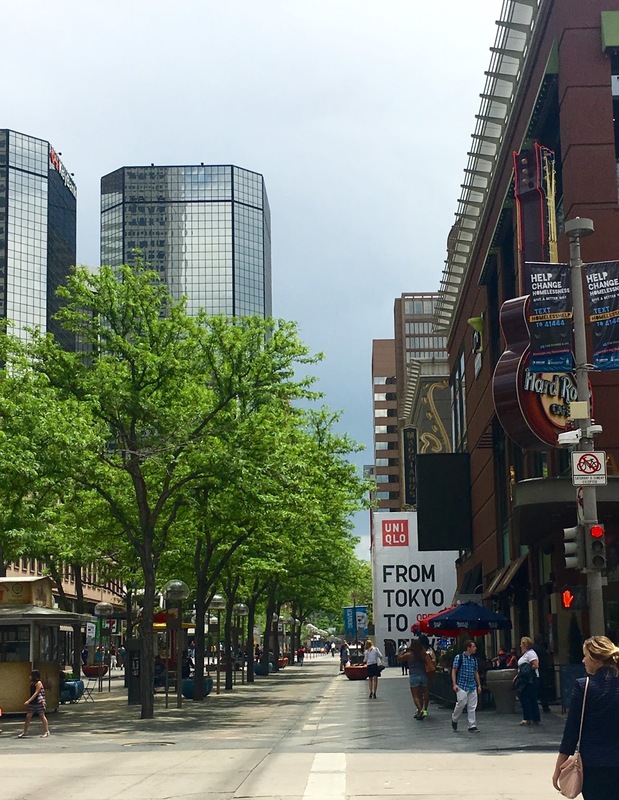 What a fun trip-- Denver is definitely somewhere I've never thought about visiting, but I'm not sure why because I'm sure I would love it. Love the solo pictures of you-- they look so cool and artistic! 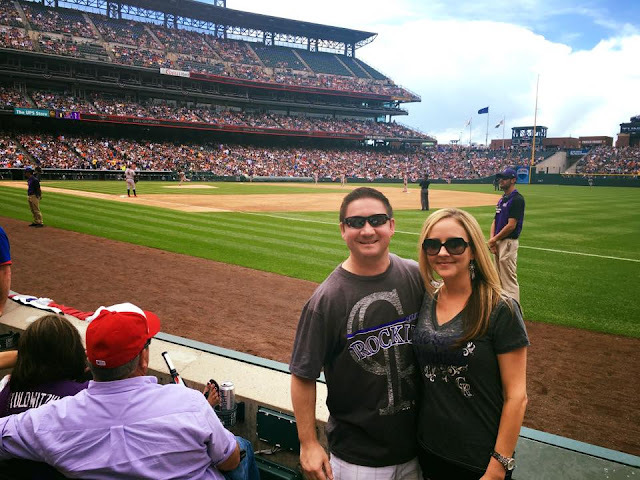 We would love to get to a Rockies game! We love going to baseball games when we are in new cities, but we only seem to go to Colorado to go skiing so that's a problem haha! We are going to Denver in September so this was a fab recap for me to read! This looks like such an awesome trip! I love that the weather wasn't too hot so it was a nice break from Florida! And all of that food and beer?! YUM! Such great seats for the game! Looks like the best trip and I'm sure the weather was a nice break from your already extra warm FL temperatures. What a great trip! You hit up so many great spots and got some good buys. I loved the pics of you guys at the baseball game. Good luck on your closing! Yay for moving week! wow, you definitely packed a lot in, and i hope you get to go back and see the things you didn't manage to squeeze in. those earrings are gorgeous! i'm the same with beer and breweries, KC loves it, which is great, and i like the atmosphere and everything, but the beer itself.. too hoppy. the earl's kitchen food looks ahmazing! yum. Wow you did so much! Looks like it was a super fun time in Denver. Hope your closing goes well! !